JON VOIGHT in "Coming Home", Warren Beatty in "Heaven Can Wait", Gary Busey in "The Buddy Holly Story", Robert De Niro in "The Deer Hunter", Laurence Olivier in "The Boys From Brazil"
JANE FONDA in "Coming Home", Ingrid Bergman in "Autumn Sonata", Ellen Burstyn in "Same Time, Next Year", Jill Clayburgh in "An Unmarried Woman", Geraldine Page in "Interiors"
CHRISTOPHER WALKEN in "The Deer Hunter", Bruce Dern in "Coming Home", Richard Farnsworth in "Comes a Horseman", John Hurt in "Midnight Express", Jack Warden in "Heaven Can Wait"
MAGGIE SMITH in "California Suite", Dyan Cannon in "Heaven Can Wait", Penelope Milford in "Coming Home", Maureen Stapleton in "Interiors", Meryl Streep in "The Deer Hunter"
MICHAEL CIMINO for "The Deer Hunter", Woody Allen for "Interiors", Hal Ashby for "Coming Home", Warren Beatty and Buck Henry for "Heaven Can Wait", Alan Parker for "Midnight Express"
Mazursky was the only director of a Best Picture nominee who was not included in the Best Director nominees. His place was taken by Woody Allen for his serious, cold tribute to Ingmar Bergman with a film about a fragmenting family of three neurotic adult sisters, Interiors (with five nominations and no wins). Co-directors Warren Beatty and Buck Henry (with their directing debuts) of Heaven Can Wait were the first dual nominees for Best Director since Robert Wise and Jerome Robbins were nominated (and won) for West Side Story (1961). The victor in the Best Supporting Actress category was English actress Maggie Smith (with her fourth nomination - and with her second Oscar win) for her role as Diana Barrie - a neurotic, bitchy, hard-drinking and fussy Oscar-nominated British actress waiting for the Oscar awards night in Hollywood and being helped to dress by bi-sexual husband Michael Caine in director Herbert Ross' film California Suite (with three nominations and one win - Best Supporting Actress). Curiously, Smith won her Oscar for the role of an Oscar-loser. She became the only performer to win an Academy Award for playing an actor who lost at the Academy Awards. This was Neil Simon's version of Grand Hotel (1932) - and an attempted rewrite of Plaza Suite (1971) in a California setting. Sir Laurence Olivier was presented with an Honorary Award this year "for the full body of his work, for his unique achievements of his entire career and his lifetime of contribution to the art of film." He had won only one competitive Oscar award in his career (for Best Actor for Hamlet (1948)), received eight other Best Actor nominations (stretching from 1939 to 1978), and one Best Supporting Actor nomination (in 1976). He was also nominated as Best Director for Hamlet (1948) - and became the only performer in Oscar history to direct himself (and act) in an Academy Award-winning performance. Legendary animator/cartoonist Walter Lantz, creator of Woody Woodpecker, received an Honorary Academy Award in 1979 (at the ceremony honoring films of 1978) for "bringing joy and laughter to every part of the world through his unique animated motion pictures." The award was "presented" by Lantz's most famous creation, Woody Woodpecker, using combined live-action and animation. Scared Straight!, narrated by Peter Falk, won the Oscar for Best Documentary - Features, for its graphic portrayal of Rahway (NJ) State Prison's "Lifer's Program" - to deter juvenile delinquents from a life of crime. 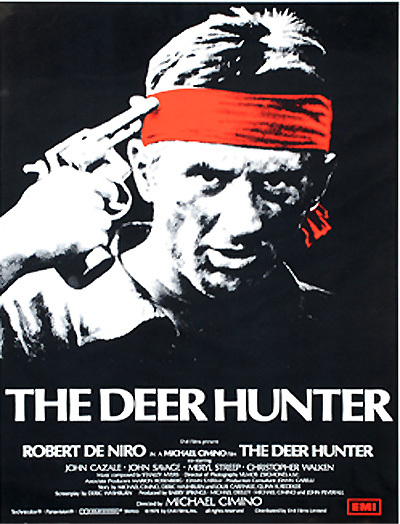 Overshadowed as Best Picture nominees in the year of The Deer Hunter were Ted Post's anti-Vietnam war film Go Tell the Spartans with Burt Lancaster as Major Asa Barker in a marvelous performance, and writer/director Woody Allen's somber, Ingmar-Bergmanesque Interiors. Ingmar Bergman's adult-drama Autumn Sonata was nominated only twice: for Best Actress (Ingrid Bergman) and Best Original Screenplay (Ingmar Bergman), but not for Liv Ullman's performance as Eva, or for Bergman's direction. Brad Davis was ignored for his role as Turkish prison inmate Billy Hayes in the much-praised Midnight Express as was John Belushi for the year's third-biggest moneymaker Animal House (with no nominations). Tim McIntire's remarkable performance as pioneering rock DJ Alan Freed in Floyd Mutrux's American Hot Wax was un-nominated. Dustin Hoffman was not among the nominees for his role as violent and explosive ex-convict/thief Max Dembo trying to go 'straight' in Straight Time. And John Savage was overlooked for his quiet yet intense role in The Deer Hunter. Stand-up comedian Richard Pryor (in his sole dramatic film role) was snubbed for his performance as struggling and desperate blue-collar worker Zeke Brown in a mismanaged, corrupt and miserable Detroit auto-factory, opposite performances by his friends Jerry (Harvey Keitel) and Smokey (Yaphet Kotto), in Paul Schrader's (his directorial debut) political labor film Blue Collar. And Melanie Mayron was also un-nominated for her performance as married Jewish woman/photographer Susan Weinblatt in Claudia Weill's debut film Girlfriends. 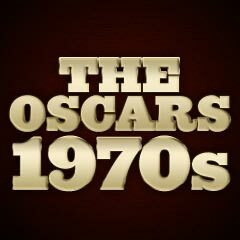 To make up for the glaring omission (and avoid further criticism) by ignoring the BeeGee's soundtrack of Saturday Night Fever (1977) the year before, the Academy awarded a Best Song Oscar ("Last Dance") to an inferior disco film, Thank God It's Friday (1978), featuring Donna Summer's film debut. The win for the film's signature tune beat out Grease's sole nominee: "Hopelessly Devoted to You," and probably further denied other Grease songs from being nominated (i.e., "You're the One That I Want," or the title song "Grease"). Also, Leonard Rosenman's Golden Globe-nominated stirring score for Ralph Bakshi's animated feature The Lord of the Rings was overlooked. The year's biggest blockbuster, Grease was entirely overlooked in many potential nomination categories: Best Picture, Best Director (Randal Kleiser), Best Actor and Actress (John Travolta and Olivia Newton-John), Best Supporting Actress (Stockard Channing), Best Adapted Screenplay (Allan Carr), and Best Original Song Score (John Farrar). The classic whodunit Death on the Nile (which won its sole nomination for Best Costume Design) was also seriously overlooked in acting nominations amongst its star-studded cast, including Peter Ustinov for Best Actor for his first rendition of Agatha Christie's famously fussy Belgian sleuth Hercule Poirot, and supporting nods for Angela Lansbury as eccentric trashy novelist Salome Otterbourne and Maggie Smith as an elderly socialite's cynical traveling companion named Miss Bowers, as well as famed cinematographer Jack Cardiff's stunning on-location work in Egypt.